Tailored to your needs, your culture, and your budget. At StateFoodSafety, we care about food safety culture as much as you do. That is why we offer the most effective training, the most powerful technology platform, and the most dedicated service. Support an active food safety culture with training that is designed to maximize retention. Our courses feature animated avatars, which have been shown to increase learner engagement, as well as simulation-based interactivities, which promote retention and help the learner achieve deeper levels of understanding. Our courses use real-life examples and anecdotes to awaken the learner to the real consequences of unsafe food handling and ultimately change the way they think and act toward food safety. Check out our training for yourself! "The course is educational and entertaining and allowed us to reach 100% compliance in short order. We have even switched our food manager certification to StateFoodSafety. The flexibility of the online course is great for our managers' busy schedules." Our training is approved in more jurisdictions than any other provider in the industry. Reach out for more compliance information. Our unique approach to the regulatory landscape means we can provide approved, up-to-date training in more places and to more people than anyone else. We pay attention to the details and work alongside regulatory agencies to build custom courses that meet local food safety requirements. We will also tell you where we cannot provide approved training and help you understand how to meet those local requirements. 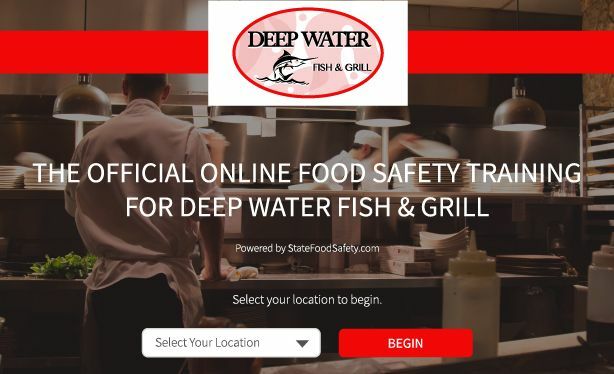 "StateFoodSafety identified our specific regulatory need for each jurisdiction in which we operate across the nation, developed a portal for our team to use, and delivered an awesome product to our team. The Accounts team is a pleasure to work with — quick to respond and helpful, with a 'can-do' attitude. That's why we've maintained this partnership for more than five years!" 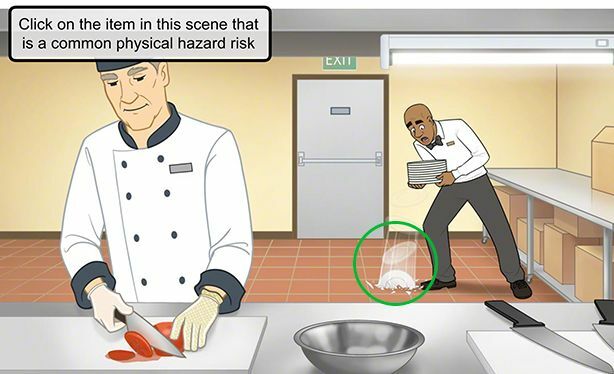 Integrate food safety training into your LMS with ease. Your learning management system (LMS) is a central part of your company's culture — and we get that. Our proprietary technology can integrate with the most popular (and unpopular) LMS platforms using one of several industry-standard protocols. This means you can assign training and track learner progress in the system you already use. No managing separate logins, no learning new systems, no data imports — just seamless integration. Contact us to learn about integrating with your LMS. "StateFoodSafety always did the legwork for me in regards to state/city/county regulations and requirements. Whatever my needs were or questions I asked, I always heard back within a 24-hour turnover. And may I add I was never disappointed with the outcome!" See the information you want, when you want it. To make sure your employees get the training they need, we can create a custom portal and URL that is easy for managers and employees to remember. Most custom portals can be set up at no additional cost! We give you the tools that you need to efficiently and effectively administer your food safety training. Our hierarchical reporting capability means you can delegate responsibility for managing food safety training, giving them access to only the areas that matter to them. Learn more about our robust learning system. "We are very excited to be partnering with StateFoodSafety. SFS has been able to help fulfill our many needs in several markets not only with our hourly employees, but now with our manager certifications as well. They are always fast to respond and very helpful." Provide your company with a dedicated StateFoodSafety account manager. We work diligently before, during, and after the onboarding process to continually understand your needs and goals. When you decide to partner with us, we will assign one of our outstanding representatives to your account. You will have their direct contact information so you are always talking to someone who understands your company. We also provide bilingual customer support so your managers and employees can get answers to their questions immediately. We don’t use automation or phone menus — you go directly to a real person who can help. Connect with one of our representatives today. "The level of customer service provided by StateFoodSafety has been nothing short of superior. They have been so helpful to our food safety/training teams, and always respond quickly and with expert knowledge. I’m really glad we are working with StateFoodSafety for our food handler training!" We understand that business decisions come down to the ratio of cost to benefit. That is why we maintain competitive prices while offering effective food safety training solutions. We offer various payment options so that you can use the model that best fits your business. Whichever payment model you choose, we can provide you with additional resources to help reinforce your food safety culture at little to no cost. "We needed a solution that was on-demand, engaging, and allowed our team members and managers the flexibility to take courses and certify on their schedule. The solutions that StateFoodSafety offers perfectly aligned with our needs and feedback from our team has been overwhelmingly positive!" Q. 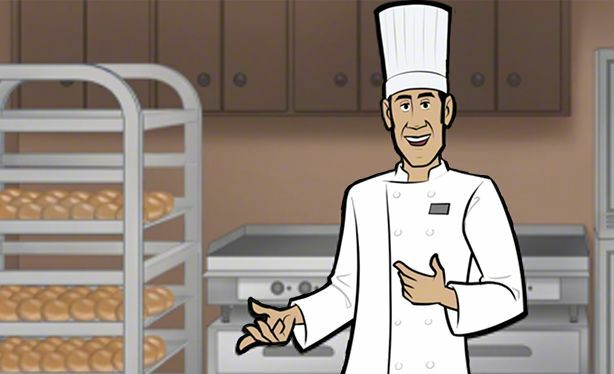 How do I partner with StateFoodSafety to provide food safety training? Q. Does StateFoodSafety offer corporate discounts? A. Yes! Corporate discounts are available. Contact us for more information. Q. 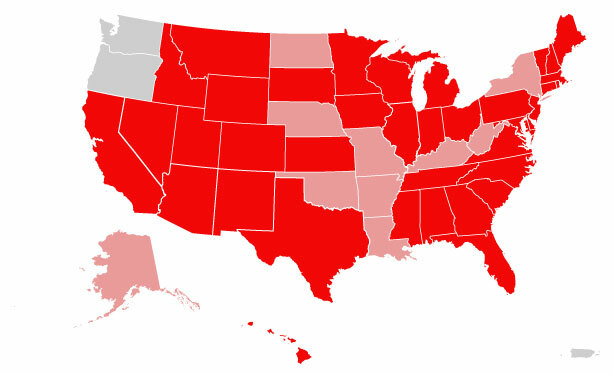 Is StateFoodSafety accepted nationwide? A. Our food handler training program is ANSI-accredited and is accepted in more areas than any other food handler training program. Our food manager certification program is ANSI-accredited and is approved in the vast majority of the nation. Some cities and counties have specific requirements or have partnered with specific training providers, and in some of those areas we are unable to provide training. Contact us for more information. Q. 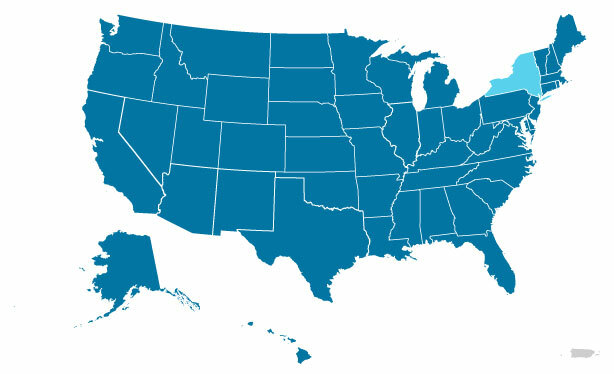 Who uses StateFoodSafety training? A. We have partnered with hundreds of health departments nationwide and provide exclusive custom training solutions for a variety of corporations in the food industry. Our portfolio of clients includes large food and grocery chains and worldwide staffing companies as well as small restaurants and catering companies.